i am writing this all out sooner than i thought i would. i am so glad about that. glad to be writing it while it's fresh and vivid in my mind. on wednesday, februrary 22nd my midwife checked to see if i had dialated at all since monday. only two days, i know. but i was just a fingertip on monday and hoping to have had some changes so that my midwife could sweep my membranes. if you don't know what sweeping or stripping of the membranes is you can google it now and thank me later. why sweep my membranes you ask? brody was 10 pounds 12 ounces at birth and foster was 10 pounds 7 ounces at birth. i was a bit concerned with how big story would be so we were hoping to kick start the labor by stripping my membranes. my mind had been going all different places, and my pregnancy brain kept thinking that i would be pregnant forever or that i wouldn't go into labor by my due date (february 29th) and she that was going to be huge. huge was actually okay, the boys were huge. but bigger than the boys were wasn't sitting well with me. in my heart i knew she would come when she was ready and i couldn't commit to any sort of intervention or induction to bring her sooner. but my mind kept thinking back to recovery after brody's birth - which, after just about 3 hours of pushing i had an episitomy and large tear, and i knew that i couldn't physically do that recovery again. not with three kiddos to take care of this time around. so i just kept praying she would come. and come soon. i wanted, and prayed for, the best birth for her and i.
my midwife checked and i had progressed to 2 cm on my own since monday. can i get a what what? all those squats were good for something. so, she stripped my membranes (ouch), and sent me off, both of us hoping that it would kickstart my labor. all day wednesday nothing happened. i waited for contractions to start on wednesday night. i was up the entire night anticipating and wondering if something was going to happen, which caused me to be extremely exhausted, physically and emotionally, come thursday morning. and still nothing. nothing at all. my aunt came over for dinner thursday night and caleb was working late. around 7:00 the boys and i waved goodbye to her out the window and i walked them over to their room to put them to bed. they always take turns turning off the lights before bed and so i picked up brody to let him have his turn, when all of the sudden...GUSH. my water broke, people. water broke like in a movie. i have never had my water break to start labor. 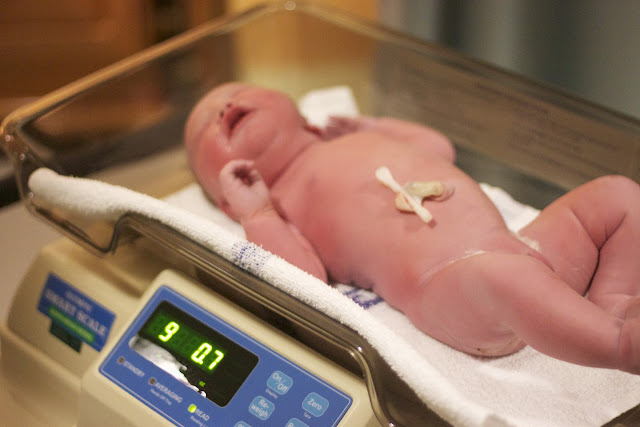 in my labor with brody it broke around 8 cm, with meconium. that was lovely. in my labor with foster my midwife broke it because i was fully dilated, and ready to push, but the bag of water was just sitting there. i throw some gym shorts on, use the one and only maxi pad in the house, and get the boys tucked in. caleb pulls in 5 minutes later from work. uh. babe. my water broke. 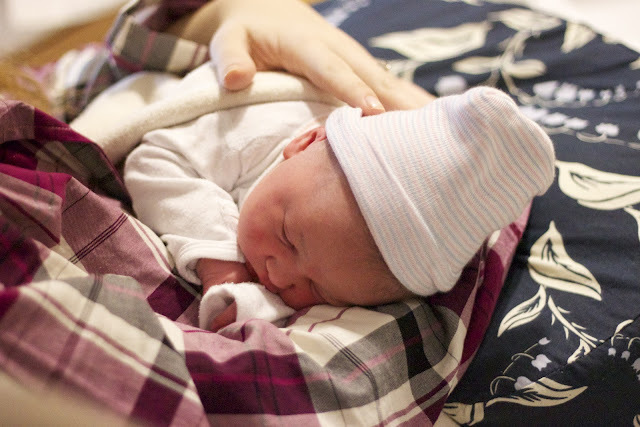 i called my midwife, linda, and let her know that my water broke but that i wasn't feeling any painful contractions. i felt contractions all the time for the past month or more but never felt any pain with them. just a real tightening and hardening of my stomach. i am not a woman who is confused about if she is in labor or not. when i am in labor i know it and haven't felt anything like it up until that point. i would have to go in the next morning around 7 if labor didn't start on it's own to check and see what was going on with me and the baby because my water had broken. i prayed that labor would start on it's own. oh, i prayed so hard right then. we got our stuff together for the birthing center and called my mom to let her know what was going on and she was on call to come and stay with the boys. we watched jeopardy and wheel of fortune like the 70 year old couple we are, and i made this cookie dough dip, and ate it by the spoonful. we laughed about how i thought i was going to take a unisom and get a good night's sleep to make up for the night before. that certainly wasn't going to happen. hoping to start some contractions, i walked back and forth in our little 1000 square foot house, from the bathroom to the living room. over and over and over again. 9:30ish rolled around and still nothing, so caleb went to bed and i laid down with him for a minute. i realize now that i should have realized then that laying down would make all the fluid pool up inside of me and come gushing out once i stood up. which is exactly what happened. woops. wasn't going to be laying down anymore, and when i did any slightly painful contractions would stop. i took a shower and walked some more. i sent a few emails and texted my girlfriends to keep them posted. and soon they started. they were so irregular. 5 minutes, 7 minutes, and then another 15 minutes before another one came. they were painful but bearable. i called linda back and let her know what was going on and we both agreed that i should go in. it was my third baby, my water had already broke, and i knew these were real contractions, irregular or not. my mom arrived and we left for the hospital around 11:45.
as soon as we got in the car the contractions picked up and became increasingly more painful. they were three minutes apart exactly and the bumpy roads weren't making it easy. but all i could think about was meeting my daughter. and soon. we arrived at the birthing center a little after midnight and my midwife checked me, i was 5 1/2. we weren't going home. oh no, we were there to stay and going to see our sweet girl before we knew it. the nurse, whom i actually did like but not in that moment, monitored the baby's heart rate a little longer than normal because she wanted to see some flucuations. story was happy as a clam, with her heart rate in the 140s and they just wanted to see her reacting to the stress of labor. not what i wanted to hear. i looked at caleb with my eyes bulging out my head and told him GET ME OUT OF THIS BED. i am not a labor in bed kind of girl. i am a labor in the water kind of girl and the water was a-calling my name. the pain was hard and strong and became intense and on top of each other so much quicker than my previous labors. i think a lot of this had to do with my water breaking prior to the contractions starting and the baby's position. i felt this pain before but it was gradual leading up to this intensity in my other labors. not this time. after what seemed like forever to a mama in labor i got out of that blasted bed and into a heavenly, jetted tub. i couldn't submerge myself down as deep as i wanted to because of the baby's position and the pain i was having in my back. but it was still so much of a relief. i labored in the water 25 maybe 35 minutes and then asked the nurse to check me because i was feeling a lot of pressure. i was 8 and 1/2 and felt so close to pushing. she suggested that i labor in the water for another two contractions and then i could get out if i really felt the need to push. i am so glad i did this. the water helped so much. those two contractions were consuming, horrendous, and becoming all wrapped into one. i was ready to push. i got out of the tub and onto the bed. i was fully dilated. i could see a little bit of nervousness come over the nurse's face as i groaned and yelled through that first push. my midwife was in the next room delivering a baby right that very moment and i knew from the look on the nurse's face that this baby was coming out. now. she tried to have me breathe through the contractions instead of push. not gonna happen, lady. not gonna happen. my body was pushing her out whether i was breathing or pushing through the contraction. all the sudden i felt the ring of fire. you know about the ring of fire right? i screamed and screamed as her head came out and my midwife ran in. two more pushes and my girl was out. linda had made it just in time to catch my baby and lay her on my chest. and there she was. only two hours after arriving at the hospital, there she was. my girl, my daughter, a child of the King, a gift from my precious Jesus right there in my arms. a piece of my heart laying on my very heart itself. i counted my blessings and prayed over her, for she is not my own, but His. caleb and i rejoiced to see her healthy, beautiful self and i entered the high, the out of body experience that one can only feel after bringing a life into this world. oh man. tears. beautiful. SO HAPPY YOU SHARED THIS SO SOON! and umm, I must say this was very much like my Elsie's delivery. only two hours after arriving and such an experience I will never forget. it was so great to happen so quickly, intense and crazy but wonderful! adoring your story of STORY and her arrival. you're a champion. i love you hannah! and, as always, thank you for your sweet words! XOXO. So happy she's here! So happy to see 'then there were 5'. I have two girls and they are so great. Congrats, my dear! Gorgeous little lady and gorgeous family!!! I have to ask, how on earth did you deliver a 10 lb 13 oz baby? i didn't know anything different, thank goodness ;) brody paved the way for foster & story, that's for sure! Danielle, Your birth story is similar to mine! I had my second baby five weeks ago and the contractions were totally irregular, my water broke everywhere as soon as I arrived at the hospital, and the pain got crazy and intense very quickly with a quick pushing stage! So weird, right?? 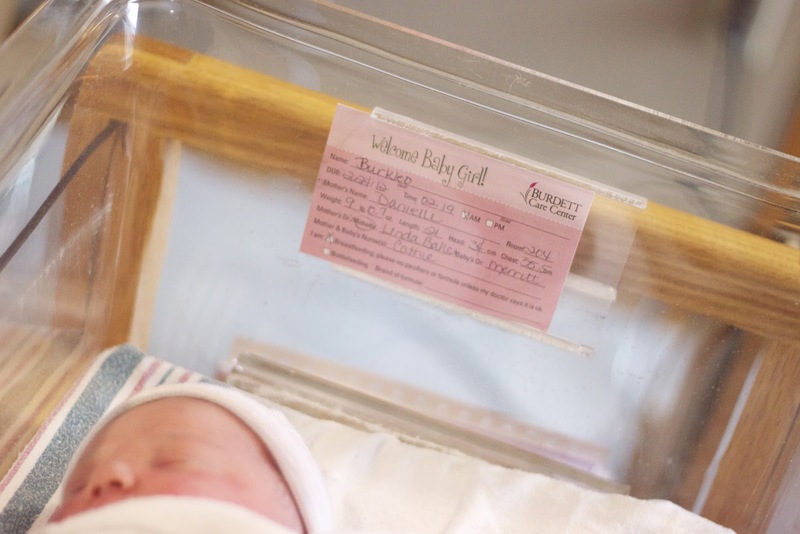 Glad you had a great natural birth, and congratulations on your sweet girl! thank you! congratulations to you too!! this was PURE GREATNESS!! I need to get on the ball and document B's birth story :) your sweet lil Story is just beautiful!! this was PURE GREATNESS!! 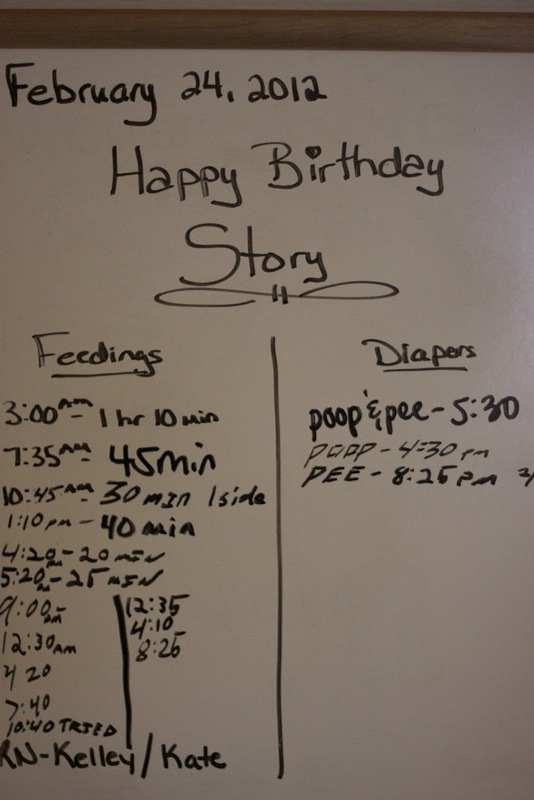 I need to get on the ball & document B's birth story :) your sweet lil Story is just beautiful!! i can't wait to hear your story!! oh what a beautiful story! you go girl! ah! nothing in the world like that feeling, so awful yet so amazing! I totally cried when you talked about her not being yours. What an honor to be a mama. On days like this, I need to reminded of that. Precious Story. audrey, i have to daily remind myself of this. love you friend. I'm not sure if my last comment posted. Beautiful, quick labor! I cried. Good reminder that these babies are gifts. What a beautiful story. I had goose bumps! God bless you and your little bunch! how wonderful!!! Story is just a doll!! Congrats again dear!! This beautiful tale has me crying from beginning to end. You are such a lovely person and I am truly happy for you that Story is here. I have a daughter and am touched each and every day about how amazing the relationship is between a mother and a daughter. Yours will be no different. 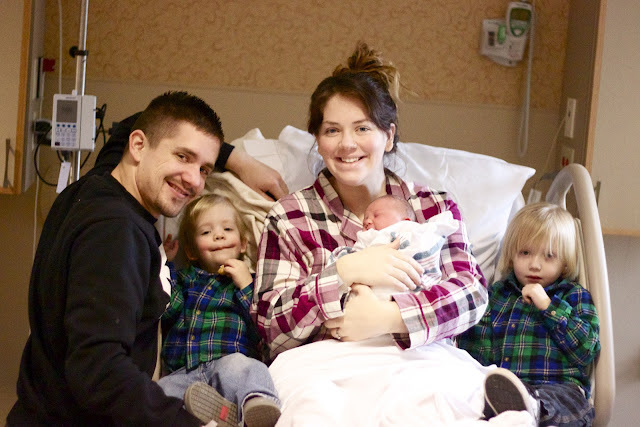 Lots of love to you all - you are a gorgeous family of five! Thank you for sharing ALL the details sweet girl. I'm so excited for your family to be growing and I believe that soon enough you'll be a family of six! Not sure if my comment worked but so thankful you shared all the details friend!! I love it. And I know that soon you'll be a sweet family of six! i love you friend! i can't wait til we're six!!! so beautiful! of course you made me cry. but i laughed so hard when i read that you did a "bow legged tribal dance!" Bwahahahaha! I'm still laughing at that! anyway, congrats to you, caleb and the boys! your precious "story" has begun her life in this world! 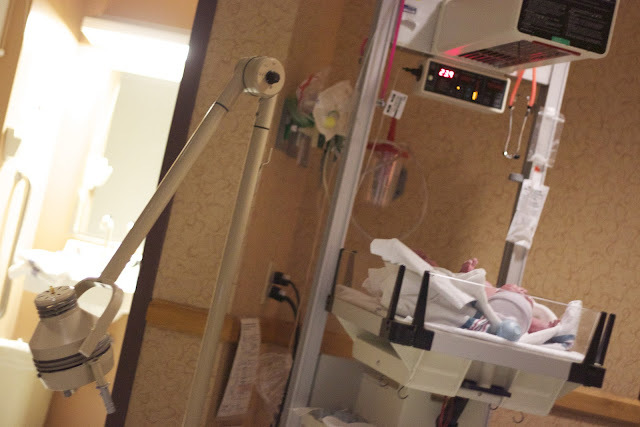 Even though i see babies born every week, i can never pass up a great labor story. 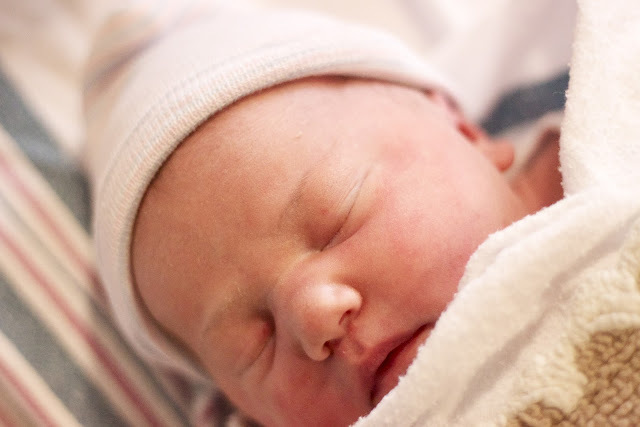 Many, many of our patients get epidurals but we do offer tub laboring and fully support natural delivery. When the nurse asked for you to breathe through the contractions at end, i had to laugh...you are right. Not. gonna. happen...not for a mamma going natural. Thanks for sharing. You have a beautiful family. i am sort of jealous you get to see babies born every week! such an awesome job. Yay! Thanks for sharing-I loved to hear (or rather read) it! Ohh I loved reading this! I just had my membranes swept today (about 5 hours ago) and have had a few mild contractions but nothing to write home about. This gives me a little bit of hope that I'll have a baby in my arms in the next 48 hours. Hears to hoping! Congrats on your beauty! Beautiful story. yay! will be thinking of you, i hope that you go into labor so very soon!! bawling like a baby about this wonderful birth story! i've been thinking that if we have a 3rd i may try to do all natural. but the ring of fire thing sounds scary. i'm glad all went seamless. to God be the glory. what a cute family you are growing into...one that will do crazy awesome things for the kingdom. awful but amazing, so worth it! love you friend!! I have been reading your blog for a while now and finally felt the urge to comment. You are the one of the most beautiful women I have ever seen after giving birth! I am due in April with my second and have a 22 month old. God Bless you and your beautiful family! I love reading your blog! thank you so much! best wishes for your birth!! What a beautiful story. I can't ever read a birth story without tears. Good job, momma!! I stumbled onto your blog after another friend had a recommendation on her facebook wall from someone I don't know. I'm so glad to have found you! I will definitely be following! I just had our second daughter (after 2 1/2 years of infertility) and it was a home water birth and such an incredible experience. If you're interested at all her birth story is here: http://lovejoyandlaughter.blogspot.com/2011/12/welcome-miss-lydia-hope.html. The two posts that follow are the rest of the story and pictures from her birth. You know...if you're not busy doing anything else - haha!! Congrats on your sweet girl! i can't wait to read your story, thank you for sharing!! Hmmm...I just wrote a comment and then it disappeared, so hopefully I don't comment twice. If so, sorry!! What a beautiful birth story!! I can't ever read a birth story without tears. Great job, momma!! Congrats on your sweet girl!! oh danielle. im just weeping over here. thats so beautiful, Story is so beautiful, and YOU are so beautiful friend. love you!!! I'm 24 weeks preggers today and this story about your precious Story is both amazing and incredibly scary to me. This is our first baby and I'm terrified of facing the pain! Oh, the terror of the unknown. I loved the post, Story is beautiful and you are brave!! welcome to the world, story kate! you're lovely! may God keep you all healthy and strong to raise this beautiful family!!! Okay, I officially LOVE your blog. I came over to visit from Casey's giveaway she posted. I love your birth story; it brought tears to my eyes. Congrats on your girl! !